On Saturday, tens of thousands gathered in front of the National Diet Building in central Tokyo to protest growing scandals surrounding the administration of Japanese Prime Minister Shinzo Abe. "We hold a sense of crisis that the falsifying and hiding of public documents means nothing less than the destruction of our nation and democracy," said economist Masaru Kaneko to a crowd of some 30,000 people in front of the Diet building. "If these developments are allowed, any form of impropriety or corruption can be legitimized," Kaneko stated. Protesters accuse Abe of helping Kotato Kake, director of school operator Kake Gakuen, establish a veterinary school in a special deregulation zone in 2017. 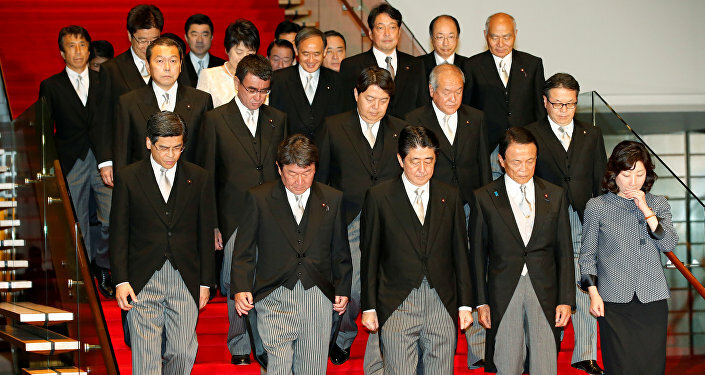 However, Abe has repeatedly denied claims that he allowed officials to give Kake preferential treatment for the establishment of Japan's first new veterinary school in over 50 years. Abe and his wife are also accused of being involved in the discounted sale of state-owned land to Moritomo Gakuen, another school operator, with connections to Abe's wife, Akie. Demonstrators held up bulbs in the shape of candles and signs saying, "Do not allow Abe-style politics," to protest against Finance Ministry officials' alleged falsification of documents in connection to the two scandals. 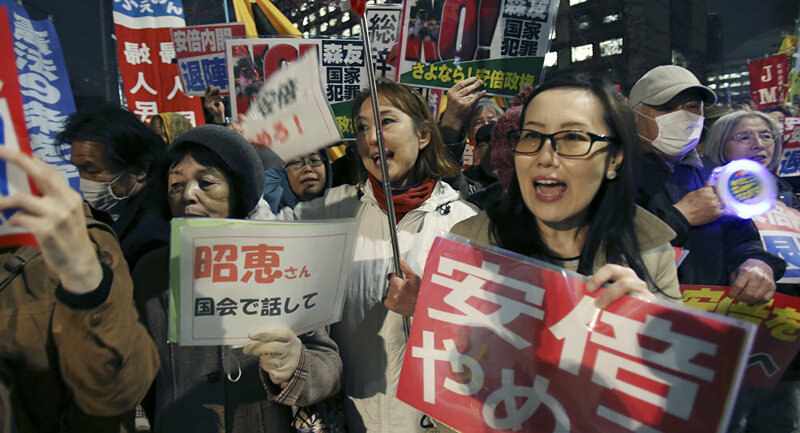 Other protesters carried signs calling Abe a "liar" and demanding his resignation. "The large number of people gathering is due to growing anger," noted protester Takeshi Suwahara, according to the Japan Times. "A strong sense of crisis is spreading — people now sincerely feel they have to speak out for what is right." The scandals have decreased Abe's approval rating to an unprecedented low and have raised questions over whether he can a win a third term in the upcoming September election.